We all know how important ECONOMICS is to any social science, management or commercial course in the universities, polytechnics and colleges of education. The subject is the backbone of all commercial disciplines. This is why it’s made compulsory for candidates who propose to study the likes of Economics, Accounting, Business Management, Banking and Finance, Marketing and more. For such courses, JAMB brochure would state, “Mathematics, Economics, English and any other two social or Art subjects as the requirements for O’level. In other words, an admission seeker must have at least C6 in Economics for his proposed course. While this is true, do you know that, with D7, E8 or F9, you can still study your intending commercial course? How? Where? Some courses and schools allow candidates to take advantage of their leniency in the admission policies to study their intended course even with such deficiencies. Hence, below is the list of such schools and courses you can take advantage of with ordinary pass or fail in Economics. IGBINEDION accepts O Level credit pass in Financial Accounting if you don't have Economics. RENAISSANCE and CUAB accept O Level credit pass in Commerce if you don't have Economics. 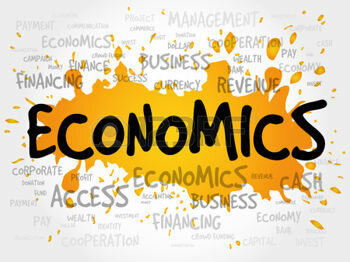 NILE accepts one subject from Accounting, Banking and Finance, Commerce, Geography, Business Studies, Government or Statistics if you don't have Economics. GOUU accepts:For Business Administration and Marketing, O Level credit pass in Commerce if you don't have Economics. PLASU accepts Commerce or Principles of Accounts if you don't have Economics. LCITY requires O Level credit passes in English Language, Mathematics, Economics/Commerce and other two (2) subjects. FED-DUTSINMA accepts five (5) O Level credit passes to include: English Language, Mathematics, Economics/Entrepreneurship/Commerce/ Marketing and any two (2) subjects. DELSU requires five (5) credits at SSC O Level or its equivalent obtained at not more than two (2) sittings which must include English Language, Mathematics, Economics/Commerce, one Social Science subject and any other subject in Arts, Science and Social Science. BAUCHI requires five (5) O Level credit passes in English Language, Mathematics, Economics/Social Studies and any two (2) subjects. TASUED requires five O Level credit passes at one (1) sitting or six (6) O Level credit passes at two (2) sittings in English Language, Mathematics and any other three (3) subjects in the Social Sciences or Arts which must include Economics. NDU requires five (5)O Level credit passes in English Language, Mathematics, and any three (3) of Principles of Accounts, Commerce/Economics, Insurance, Store Keeping/Management, Word Processing, including any one (1) of the Social Sciences at not more than two (2) sittings. KWASU requires five (5) O Level credit passes to include English Language, Mathematics plus any one (1) of Economics, Commerce, Financial Accounting, Typewriting plus any two (2) other Social Science subjects. FED-OYE EKITI requires five (5) TC II merit, SSC or NTC/NBC credit passes including English Language, Mathematics, Economics/Commerce and two (2) other subjects in the Social Science or Arts. For NBC holders, the other subjects could be from any of the following: Commerce, Office Practice, Principles of Accounts, Secretarial Duties, Typewriting and Shorthand. BSU requires English language, mathematics, and any other 3 subjects from Social Sciences and Business related courses and Economics from SC/GCE/SSCE or NTC/NBC/WASSCE/RSA Business Studies (stage ii intermediate). AUN requires five (5) O Level credit passes including English Language, Mathematics, and any other three (3) subjects from the following; Environmental Science, Biology, Chemistry, Physics, Literature in English, Government, History, Economics, Geography, Further Mathematics, Technical Drawing, Visual Arts, Computer Studies, Information Technology, Civics, and French. FED-OYE EKITI accepts five (5) SSC credit passes including English Language, Mathematics, Government and anyone from(Economics, Commerce, Geography and one Science or Arts subjects at SSC. PAN-ATLANTIC requires five (5) O Level credit passes including English Language, Mathematics/ Economics/ Accounting/ Commerce and other relevant subjects. PAUL requires five (5) O'Level credit passes including English Language, Mathematics plus any two (2) of Accounting, Business Method, Commerce, Government, Geography and Statistics. This means, you can be offered admission even without Economics. UNN requires five (5) O'Level credit passes to include: English Language, Mathematics and any other relevant subjects. For NBC the other two (2) relevant subjects could be from any of the following: Accounting, Principles of Accounts, Commerce, Office Practice and Economics. UNILORIN requires O'Level credit passes in any three (3) of Accounting, Business Method, Commerce, Geography, Economics, Statistics and Government. RENAISSANCE and CUAB accept O'Level credit pass in Commerce in lieu of Economics. LAUTECH requires two (2) subjects from Physics, Chemistry, Biology, Agricultural Science and Geography. NDA requires O'Level credit passes in English Language, Mathematics, Accounting and two (2) other subjects from Commerce, Geography, History, French, Arabic and Government. OOU requires O'Level credit passes in any three (3) of Accounting, Business Methods, Commerce, Economics, Statistics, Government and Geography. Islamic Studies/Christian Religious Studies, Yoruba and History. Work continues on this kinds of series. I will continually be updating this post until all schools and courses are covered. You may want to subscribe to this blog for the future updates for such and related posts.